When the SimHQ Team met with Saitek at the 2009 E3Expo, we couldn’t help but notice we were sitting in a room that seemed to be a tale of two cities. One half of the display cube was filled with pink Wii controller covers and leopard-print console paraphernalia. The other side of the cube was displaying Saitek’s newest Pro Flight Yoke with LCD built into the casing, Pro Flight instrument panels, and other fancy-looking equipment. What we were actually looking at was the division between MadCatz and Saitek, two companies that had recently merged and were each settling in to their respective niches. Saitek indicated that day that they were targeting the high-end controller market, leaving the MadCatz side of the business to handle the more mainstream devices. 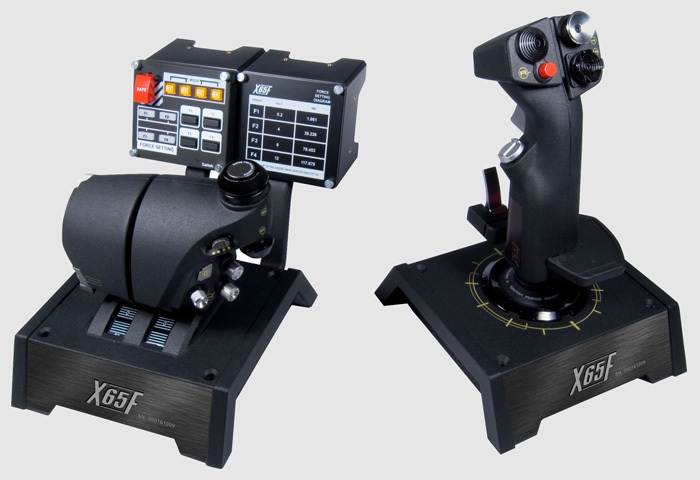 As the Pro Flight panel line continues to develop, Saitek has recently made available the X-65F Pro Flight Combat Control System. SimHQ had a first look at the X-65F this past January during the 2010 CES when Stephanie *Panther* Lessentine gave us her first impressions of the much-anticipated new HOTAS. 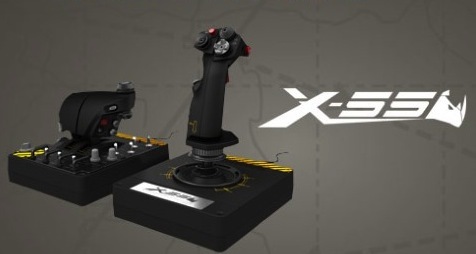 Although the X-65F has many impressive and unique features, the one that is clearly the most significant is its force-sensing joystick. A force-sensing stick is one that does not physically move. Instead, force transducers in the stick base measure the forces applied to the stick and convert them into DirectX axis signals. 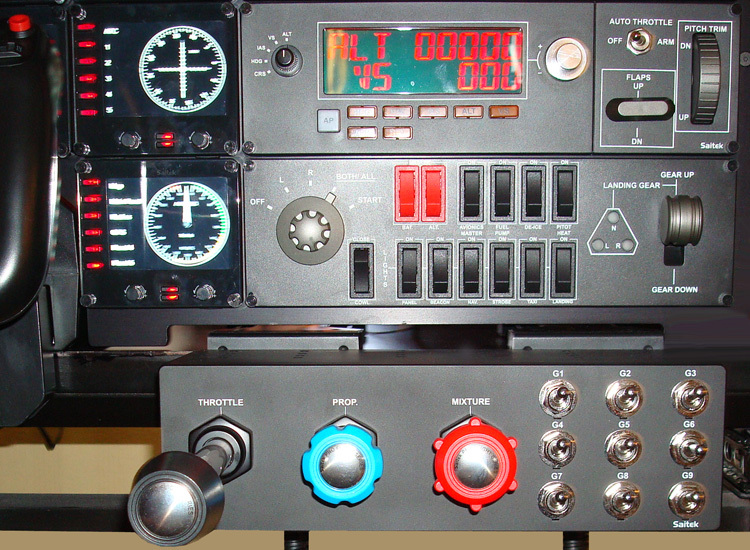 The X-65F has three force-sensing axes in the stick: left/right (X), forwards/back (Y), and twist (R, or rudder), and these all have adjustable sensitivity. 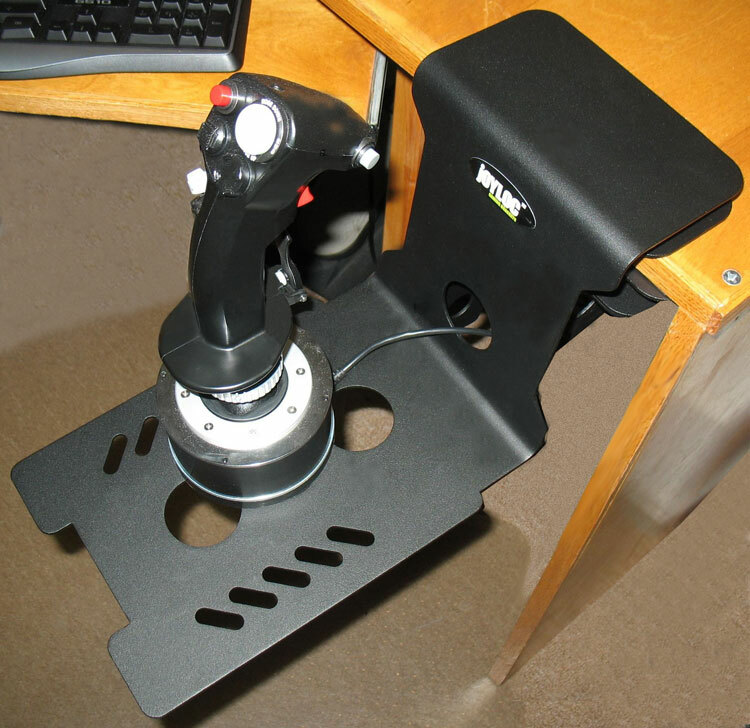 For Saitek users of the X-36, X-45, X-52, and X-52 Pro (now dubiously rebranded the X-52 Pro Flight), forget everything you know about Saitek’s build quality and material selection. The aforementioned HOTAS systems were made entirely of plastic and used tolerances that led to large play in buttons and switches. To be fair, these products were clearly more economical choices than HOTAS systems offered by other manufacturers, and so they filled a certain price point quite well. The X-65F, however, is in another class. The stick and throttle bases are metal, as are the stick handle and throttle bodies. The stick’s trigger and pinky switch are also metal. The rest of the buttons and hats are plastic, but the tolerances are tight and there is no slop in any of the actions. Overall the X-65F exudes an impressive sense of quality, and the “alien-looking” appearance of other Saitek HOTAS systems is greatly reduced. The feel of cool metal to the touch has an undeniable characteristic, and while metal construction does not automatically equal high quality, things look good for the X-65F’s resiliency. 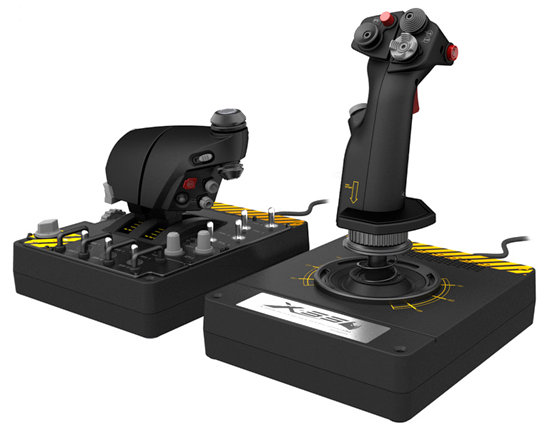 The retail price of this HOTAS is $399 USD, so Saitek certainly has to justify that higher cost (compared to other HOTAS systems currently available) with a very good product.